8:00am to 8:20am Rotator Cuff Disease: Science or Science Fiction? 11:15am to 12:00pm Orthobiologic Interventions of the Shoulder and Case Review: What to Use, Where and Why? 3:45pm to 4:30pm Orthobiologic Interventions of the Knee and Case Review: What Does the Literature Tell Us? 1:15pm to 1:45pm Differentiating Dizziness: Concussion or Something Else? 8:15am to 8:45am Were We Born to Run? 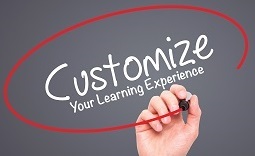 Customize your learning experience by attending one of these highly focused skills development workshops on Saturday, May 18 (Running workshop continues into Sunday, May 19). The nation's foremost authorities in four disciplines of Sports Medicine lead these highly interactive and hands-on programs. Identify the most common sports medicine injuries by anatomy and associated risk factors including sport, age, and gender. Evaluate common injuries using best evidence-based practice in the physical examination, diagnostic imaging, and ultrasound techniques. Manage sports injuries effectively, with goals to optimize the health of the athlete and facilitate accelerated and safe return to play. Counsel patients on preventative strategies that will assist them in maintaining optimal health while they participate in sports. Gain in-depth experience through workshops to advance care of runners, gymnasts, athletes suffering concussion, and more effectively utilize musculoskeletal ultrasound for sports conditions and orthobiologic injections.